Henry Cavill was going to make a cameo as Superman at the end of Shazam!, but he was unable to film the part due to scheduling conflicts. It had been heavily rumored for months that Cavill was going to appear in the film, and many believed that he was going to help debut footage of the DC movie at this year’s San Diego Comic-Con, which obviously did not happen. It was reported today that Cavill was hanging up his cape for good, but Warner Bros. and the actor’s representatives released cryptic statements that neither confirm nor deny the initial report. 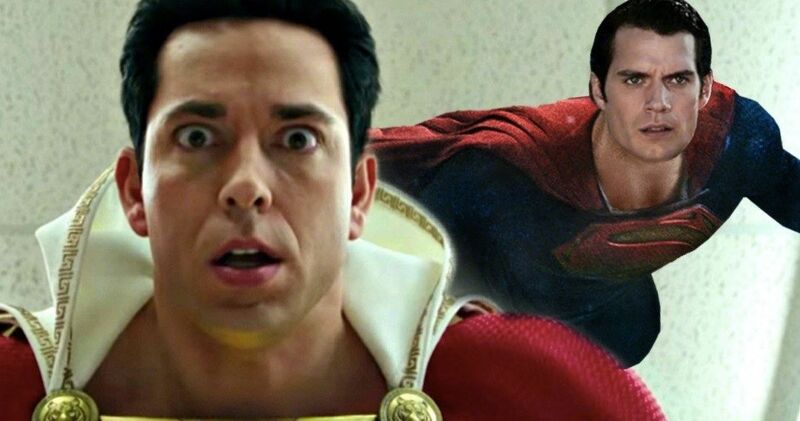 According to sources, the Henry Cavill Superman cameo in Shazam! was going to be at the conclusion of the film with Clark Kent meeting up with the young Billy Batson and telling him, “Hey, we’re gonna keep an eye on you.” While the scene would have been brief, DC fans have been waiting to see Cavill back in any capacity, with many still holding out hope that Man of Steel 2 is going to happen in the near future. It seems that Warner Bros. and DC are going to put their focus on a Supergirl movie at this time. It looks like Henry Cavill’s Shazam! cameo could have been a post-credit scene, which would have been a pretty cool way of bringing everything all together. Billy Batson is obsessed with superheroes and Clark Kent, aka Superman, could have been the perfect fit. From set photos, we know that Gotham City will be involved in some capacity, but there probably won’t be any Ben Affleck in the finished film, unless something miraculous happens. There will at the very least be some plush toys of Batman, alongside Superman, Wonder Woman, Katana, and Harley Quinn though. All hell broke loose this morning when it was revealed that Henry Cavill had parted ways with DC Films. Warner Bros. released a statement that says, “no decisions have been made regarding any upcoming Superman films,” but they still have “a great relationship” with Cavill, and “that remains unchanged.” Blurring lines even further was the statement from the actor’s representatives who said that the “cape is still in his closet,” and that we’d get clarification from Warner Bros. It seems that Henry Cavill and Ben Affleck may be in the same boat when it comes to their relationship with Warner Bros. and DC Films. Even if they have “great” relationships with the studio, there aren’t any current plans for Man of Steel 2 and Matt Reeves is reportedly looking for a younger version of Bruce Wayne for The Batman. Fans are just left with vague statements for the time being that will end up fueling more rumors over the next several months until anything is officially announced. The Shazam! Henry Cavill cameo news comes to us from Umberto Gonzalez’s Instagram Story.